When we talk about cold rolled material, we are able to make use of a better surface. Cold Rolled material is easier to paint and plate, and thus lends itself to products that are more visible. Again, tube and pipe is a common use, but typically the types of tubes/pipe that bend. 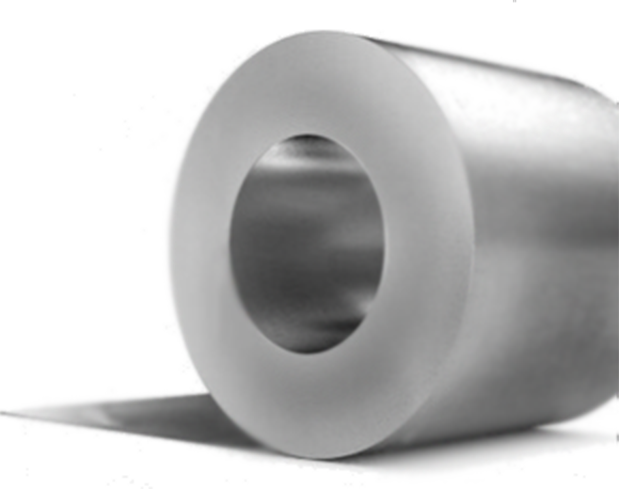 Cold Rolled material, by its very nature is pliable, and thus a great solution for products that have deep draws, severe bends, and items that are stamped or formed. Office furniture, water heater skins, home appliances, shelf brackets, oil pans, license plates, heat louvers, and ironing boards are all typically made from cold rolled steel. The approximate coil weight can be determined by measuring the Outside Diameter (OD), Inside Diameter (ID), and the Width. The approximate weight of a skid of sheets, also known as a lift of steel can be determined by measuring the Gauge, Width, Length, and the number of Pieces. The approximate linear distance in feet of a steel coil can be determined by measuring the Gauge, Width, and Weight. At Hascall Steel we understand that part of being an expert is being able to tailor steel to your needs. With that in mind there are some key areas that will help us fulfill your steel order in a way that is best suited to your company’s capacities. By working with our sales team, we can adjust several aspects of your order to make things easier for your team members. Next are some areas to keep in mind that can improve efficiency and quality. However there are quite a few QUALIFIERS that will help us all get the best value from the informational exchange. When discussing material with our Sales Team, be sure to include tolerances for your gauge, width, and length (if applicable). In some cases, Hascall can meet tolerances as low as +/-.001 on gauge, +/-.003 on width, and +/-.015 on length. Specifications – Many steel specifications come with sub categories that can alter chemistries and mechanical boundaries. Be sure to have the full specification when ordering or talk with your sales representative to discuss options. Proper packaging can help reduce unloading and production time. ID – We offer ID sizes in 16”, 20”, and 24” OD – We are able to provide OD sizes up to 72” Skidding – Standard or custom skidding available, just let us know how you would like your material skidded to best meet your equipment needs. Paper – Protective paper is standard on all orders but can be applied with standard or full wrapping both with and without Hascall Logos. Max Coil and Skid Weight – Coils can be adjusted to meet your max lift and coil capacities. Offloading – Material can be shipped skidded or standing and set for Forklift on the side or the rear of the bed. Material can also be shipped ready for sheet lifter or overhead crane offload. Steel is only good if it gets there when you need it. At Hascall we have an experienced Logistics team that will ensure that your steel arrives on time in the way that best suits your needs. Whether you would like delivery via our in-house Steel Man Transportation service or if you would like to pick up your material personally, our team can set up appointments that meet your schedule. Our Logistics team can also arrange a 3rd party carrier if needed. Delivery dates, times, and address should be discussed with your Sales Representative prior to ordering. And lastly, we know each customer is unique. There may be special requests that we would love to accommodate. These may range from a sample of the steel attached to the packaging, to increased tag requirements and frequencies. We are happy to work with you in order to be your trusted choice in slit steel coil and blanks. Give us a few details about yourself so we can match you with the right Hascall associate.